Qingdao is celebrating its maiden victory of the Clipper 2017-18 Race after crossing the finish line of the Mighty Pacific Leg 6 in first place. 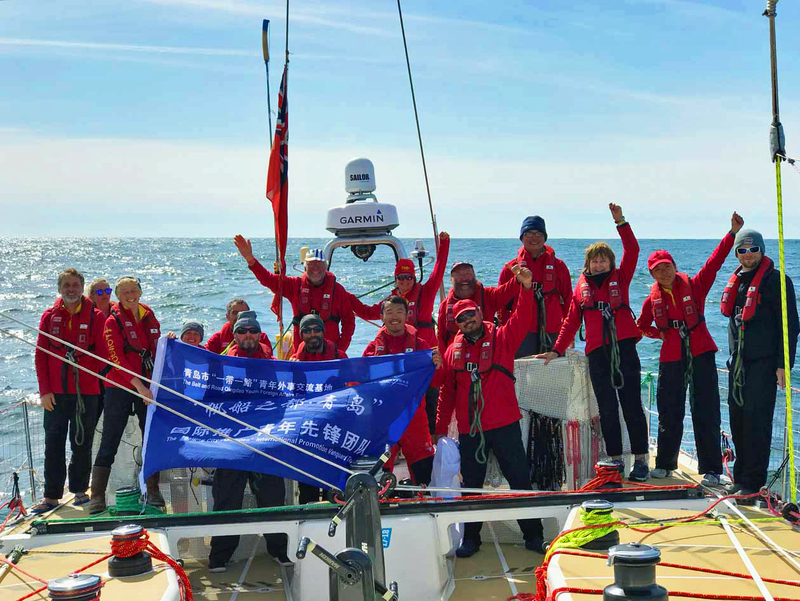 The Qingdao team, skippered by 32-year-old German yachtsman Chris Kobusch, completed the 5,600 nautical marathon across one of the inhospitable and remote stretches of ocean at 22:27 UTC on Thursday 19 April, some 27 days after setting off from its home port of Qingdao in China. On arrival into Bell Harbor Marina, Seattle, he said: "It was a good race, I think we just sailed really well and it paid off in the end. It was a bit nerve wracking when we ran out of wind about 80 miles of the finish line, but luckily Sanya Serenity Coast and Unicef didn’t manage to catch, which was good. "Feels really good to secure 15 points in this race. It’s great for the overall standings, we caught up a little bit with Sanya Serenity Coast [overall race leader]and now have a bigger gap between Visit Seattle and PSP Logistics." 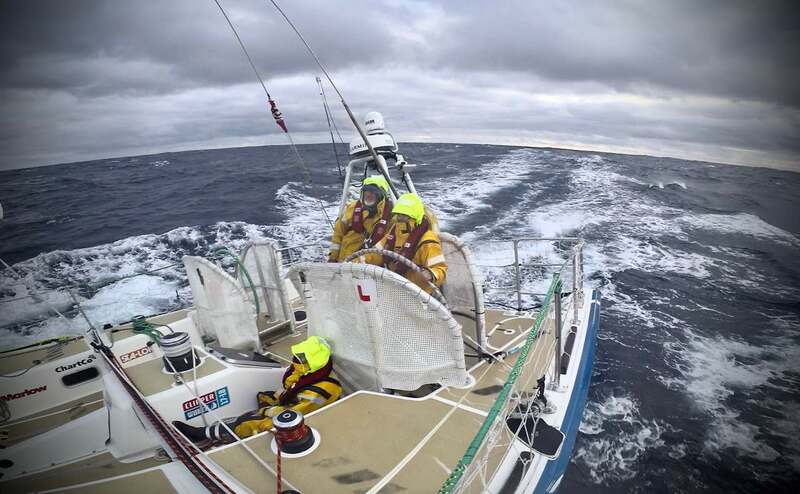 The race from Qingdao to Seattle, the ninth of thirteen races that makes up the Clipper Race circuit, included the toughest conditions faced so far in this eleventh edition of the biennial ocean adventure. IMAGE: Qingdao team celebrate the win in Race 9 to Seattle. For Greg Schey, a 28-year-old doctor from Swansea, Wales, circumnavigator on Qingdao, these conditions were what he signed up for, saying: “It was very exciting, it was nice to get some big waves and big surfs which we were expecting on Leg 3, so nice to finally have it. "The Pacific delivered as promised, apart from the abundance of wind holes, but up at the 45th parallel it was good fun. It was at times tough at night when you can’t see and have spray coming over and getting the crew completely soaked but when you are going with the wind it doesn’t feel like a massive hurricane. “The win has been a long time coming, I think, but the team pulled together quite nicely." On Qingdao’s achievement, General Director of Qingdao Municipal Sport Bureau/Executive Secretary of Qingdao Major International Sailing Events(Festivals) Organizing Committee, Mr. Ji GaoShang said: "Huge congratulations to Qingdao Team, Skipper Chris Kobusch and all his crew on their success of winning Leg Six Race 9 (Qingdao to Seattle) with an absolute advantage, 9 million Qingdao citizens are very proud of you! We look forward to Qingdao team keeping it up for greater achievements for the rest of the race!" The racing for the final two positions on the podium went down to the wire, with second to sixth place separated by just 8 nautical miles on the final day of racing across the world’s biggest ocean. Fellow Chinese team, Sanya Serenity Coast, led by Australian Skipper Wendy Tuck, navigated the light winds brilliantly to cross the finish line 08:01:15 UTC on 20/04 to claim its fifth podium of the Clipper 2017-18 Race and maintain its lead in the overall standings. The result is extra special for Wendy, who explains: "For me, crossing the North Pacific was always something I needed to do. Last race we had a knock down and pulled out of the race as we didn’t know how much damage we had sustained and how my injuries might have panned out. In the end these boats are tough, they will get round the world. "So, the North Pacific is done. We never conquer an ocean, we just hope for a safe passage. This crew has done an incredible job. It has been long, it has been tough, it has been incredibly frustrating, but the crew have always kept morale up. Everyone has pulled their weight and kept going." Arriving into the Port of Seattle, round the world crew member Dmitry Papulin, 30, from Russia, said: "We had some really good speeds and really good surfs. I guess we might have set the record speed for a Clipper 70 at 35.9 knots. We had everything in this race, from sun, rain, to snow and hail. It has been the most exciting as we had the strongest winds, and the toughest also as the last six hundred miles seemed to go on forever, especially the final 20. We're here now!" Unicef, Skippered by British Yachtsman Bob Beggs, completed the podium by being third across the finish line. Round the world crew member Paul Bidwell, 59, a retired joinery company director, said: "What a thing that was. It was everything, absolutely amazing and everything you would want for from an ocean crossing. Difficult to put into words but certainly everything and more than I hoped for. "At times you feel a bit vulnerable but at no time did I feel too scared and we felt at least reasonably safe through it all. We led, we were fourth, third, second and always changing positions, at the end we fell into a wind hole which was stressful but we’re here and it feels great to be back on the podium." Mike Penrose, Chief Executive of Unicef UK sent his congratulations to the team, saying: “The Unicef team, led by the highly skilled Bob Beggs, has done incredibly well to finish third in tough North Pacific Leg of the Clipper 2017-18 Round the World Yacht Race. IMAGE: Overall Clipper Race standings going into Race 9 to Seattle. As well as picking up 12 points for the race win, Qingdao, which has scored more bonus race points than any of its competitors so far, will also collect four extra points: three for being first through the Scoring Gate and one for being third fastest through the Elliot Brown Ocean Sprint. Whilst this is the first win for the team, it is unlikely to affect its overall standings where it is second to Sanya Serenity Coast. Sanya Serenity Coast and Unicef are currently motoring through the Puget Sound to Seattle. Further images and interviews will follow. Weather permitting, every arrival into Seattle’s Bell Harbor Marina will be shown live on the Clipper Race Facebook Live Page. To follow the progress of the rest of the fleet, keep an eye on the Race Viewer. The latest ETAS will also be regularly updated on the Clipper Race website. The full Clipper 2017-18 Race fleet is expected to have arrived at Seattle by Monday 22 April. The fleet will be berthed at Bell Harbor Marina in the Port of Seattle until the first race of the US Coast-to-Coast Leg 7 from Seattle to Panama begins on Sunday 29 April.